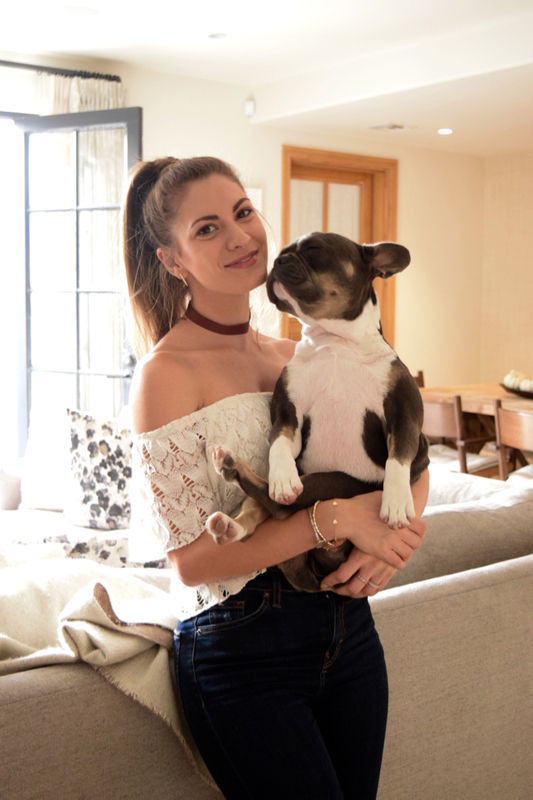 During our recent trip to LA we met up with one of our favorite bloggers & our constant source for all types of inspiration, Lauren Gores. 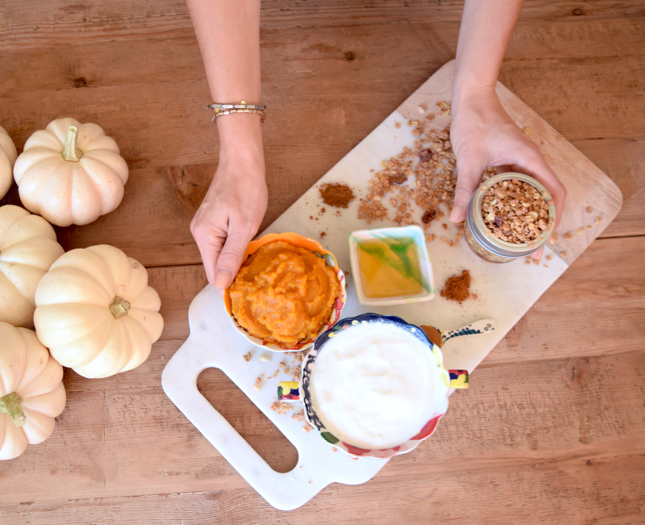 Lifestyle expert, fitness guru, DIY queen, & after this post it’s safe to say, a whiz in the kitchen too, Lauren shared with us not one, but three, incredibly delicious fall recipes. 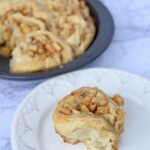 Perfect for upcoming holiday celebrations, guilt-free desserts (seriously, only Lauren could combine all these flavors in a better-for-you recipe), or a fun get together with friends, these are three recipes you do not want to pass up! 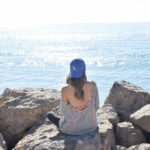 Lauren began her career as a news anchor & now creates content for her ultra-stunning site, You & Lu full time. Although in just a few months Lauren will have a second full time job…a Momma! 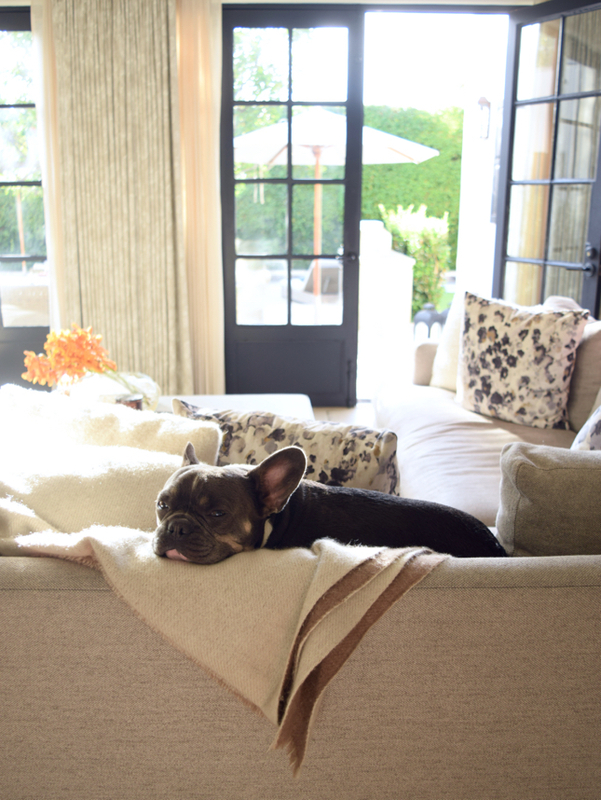 Well, technically she already is a mom, did we mention she has the cutest Frenchie of all time?! 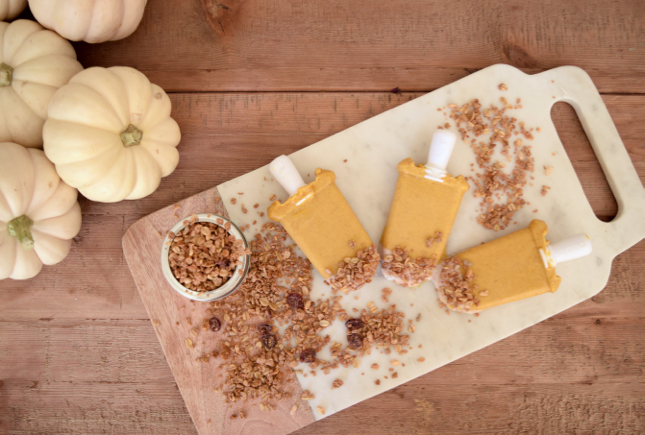 The first popsicle recipe Lauren created was the Pumpkin Yogurt Pops which tasted what we would imagine a frozen pumpkin pie tastes like–SO. FREAKIN’ GOOD. Complete with a yogurt drizzle, we can’t get over how simple these gourmet popsicles are to create. 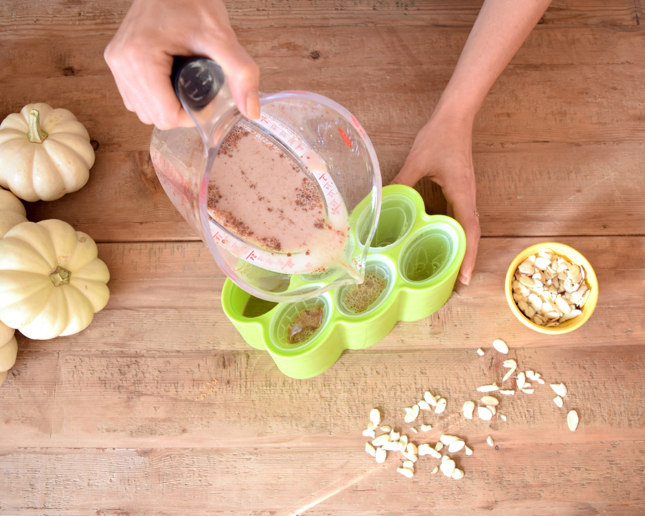 In medium mixing bowl, combine all popsicle ingredients together, and pour into popsicle molds. Allow 6 hours to freeze. NOTE: yogurt takes more time to freeze; consider making these the night before. 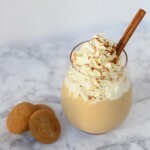 Mix yogurt and pumpkin spice together. Coat tip of (finished) popsicles and sprinkle with granola right before serving. 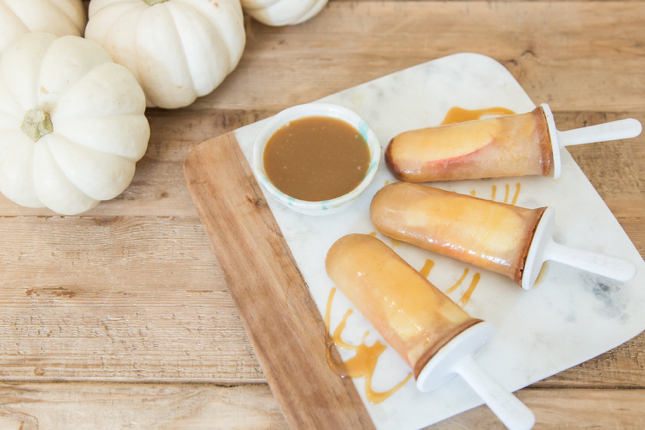 Next up was the Caramel Apple Popsicles which instantly drew us in just by their name. 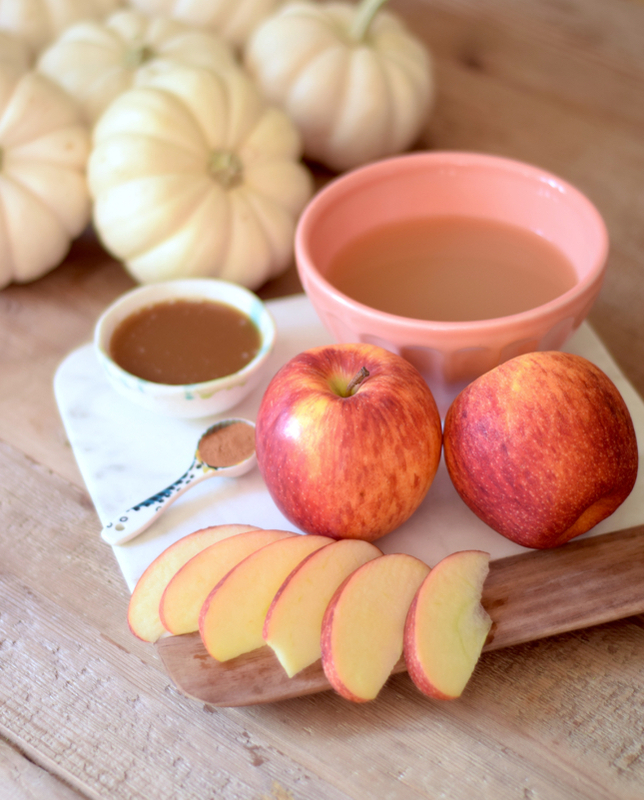 Caramel apples are one of our favorite fall treats however an average treat can set you back nearly a quarter of your daily calorie intake–YIKES! 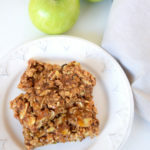 Instead these super simple Caramel Apple Pops are made with just 4 ingredients & are significantly better for you than a standard caramel apple (crazy because they taste the same!). Add 2-3 thin apple slices to each popsicle mold. 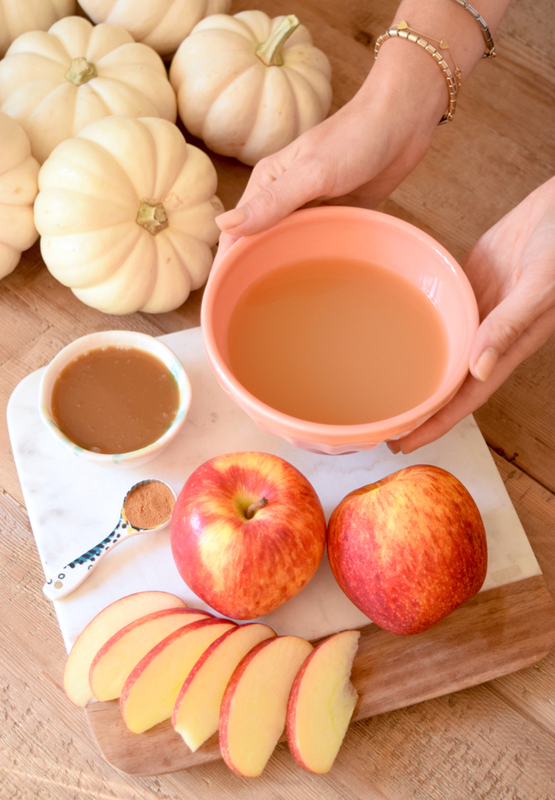 Mix cider and cinnamon together in a medium mixing bowl, and pour into popsicle molds. Freeze for 4 hours. 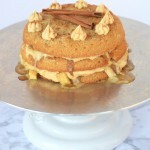 Drizzle with caramel. 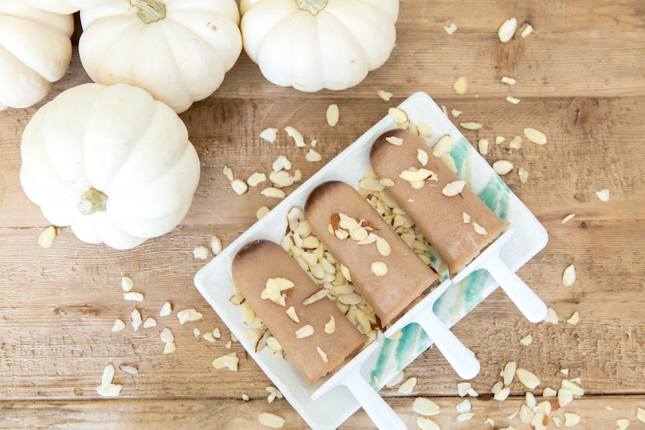 The final recipe for fall popsicles is Lauren’s Almond Pumpkin Pops created with everyones favorite fall flavor, pumpkin spice! With just three ingredients & two steps to create these popsicles there’s no reason you shouldn’t get to it right now! Trust us, in a few hours when they’re done, you’ll thank us. Mix all ingredients together in a medium mixing bowl. Pour into each popsicle mold. Freeze for 4 hours. Optional: Sprinkle pops and serving plate with sliced almonds for presentation. Wow, it looks amazing. Thanks for sharing. Looks SO tasty, thanks for sharing.